A lot of times people will approach me needing artwork for a particular project (logo or spot art) and wonder what I would charge. To borrow from a previous post regarding pricing a page rate for comic book work, it’s hard for me to price a project blind without knowing the specifics. It’s like a building contractor making an estimate before coming out to see the work site, or figuring out a fair price on a used car without looking under the hood. 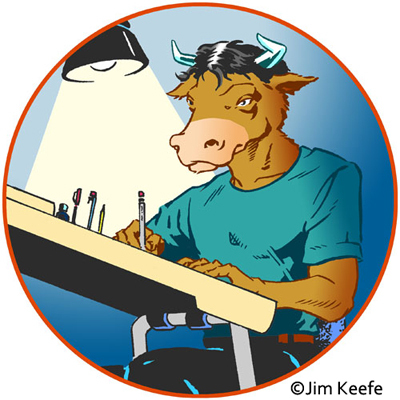 In regards to pricing your work the Graphic Artist Guild has a great online checklist for artists of items that should be covered in a contract. But as much as an artist needs to know the business side of things, so does the client. This may seem obvious, but I’ve found in the case of smaller jobs this is most often not the case – nine times out of ten the client is unaware of what the work entails. In these cases a contract is imperative so that the client and artist are on the same page and neither ends up feeling shafted because of a misunderstanding. Licensing Rights: Remember what Tom Richmond said about the client purchasing the rights to the artwork? The rights you request have to be stipulated. 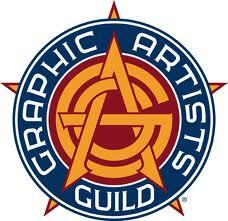 For this I’m citing the Graphic Artist Guild page. • Is the license national, local, or regional? • Is it for limited or unlimited usage? If limited, define re-use rights. • Always state time and location limits. • Determine who owns original work. • Determine a time for return of work not owned by you or your client. The more rights you request, the more the cost, And if these terms make no sense, here’s The Graphic Artist Guild’s glossary. Thumbnails/Roughs: After your initial meeting with the artist (where you give a comprehensive take on what it is you need), request a few roughs from the artist for you to chose from before they go to the final illustration. This is so you and the artist are on the same page as far as the kind of illustration needed. The number of roughs can vary, but remember the more preliminary work you have them do the more the cost. Mock-up Before Final Piece: This is the drawing done before the finished piece where you give your approval or make final suggestions. Remember once again that the more revisions the more the cost. : More often than not you will get a digital file of the artwork. Make sure to have in the contract the precise size and format requirements of the file you need. I would recommend putting in a buffer between when you need the artwork and what you state is the deadline. Murphy’s law is; “Anything that can go wrong will go wrong.” This way you protect yourself in case of an unexpected hiccup on your end or the artist’s. Rush Job: Expect to pay more. Kill Fee: The price you pay if you cancel the project mid-process.
? Make sure it’s spelled out. Make sure everything is spelled out – that’s what contracts are for. Payment: It’s very, very easy to take credit cards via Paypal. And it’s not a bad thing to ask for the money upfront, or at least 50% upfront. That’s your non-refundable kill fee, and you should not start work without it. The rest should be paid within 30 days. Copyright: I make note of who owns the copyright on every invoice. Now by no means is this supposed to be an all-comprehensive list, just a starting point. I’m hoping the take away from this is that, as a client, you realize the need to nail down as much as possible the specifics of the commission you’re requesting before contacting an artist – that way no time is wasted and you’ll end up with exactly the artwork you need.